Bi-folds have so many advantages over traditional sliding patio doors. But what our customers tell us is that it’s the ‘wow factor’ that really stands out. 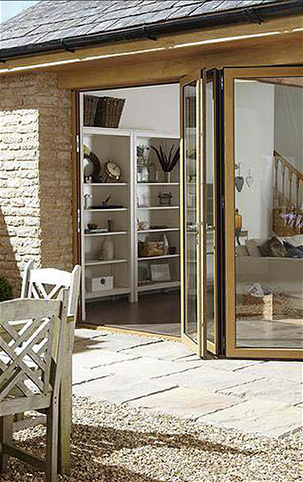 Clever engineering allows bi-folding doors to take up just a few inches of space when fully opened. When the doors are folded back you’ll be amazed by how much bigger and more welcoming the view is … that’s when the ‘wow factor’ really kicks in. Precision designed, aesthetically beautiful, bi-fold doors are energy efficient and offer far superior safety and security. 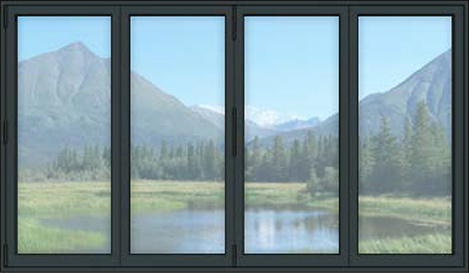 Bi-folds constructed from aluminium, are also maintenance free. Read our Buyers Guide for more information on how clever design features bring everyday advantages to your bi-fold view of the world. Our bi-fold doors are totally retractable and offer a variety of configurations to suit your living space. They can open into, or out of, a room. They can fold to the left or right. They can be designed to wrap around the side of a property and transform a dark corner into a feature that will flood your room with light. 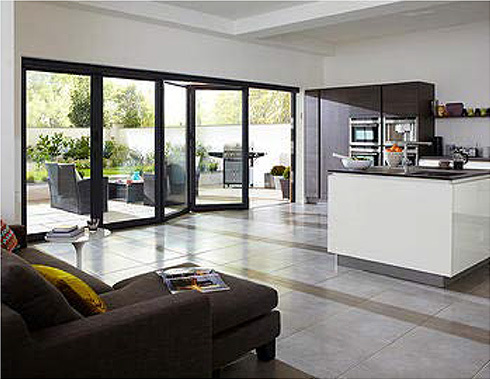 The beauty of bi-folding door is their ability to adapt to the space and reveal the best features of your home. See our Video tips for more ideas. Classic colours such as white and wood shades are the traditional choice. But there’s so much more you can choose from. A vast variety of creative colours and finishes can be applied to aluminium bi-fold doors making it the perfect material for matching existing frames or creating a distinct connection with your décor. All our doors bi-fold are designed and built in the UK and have a 20-year guarantee. 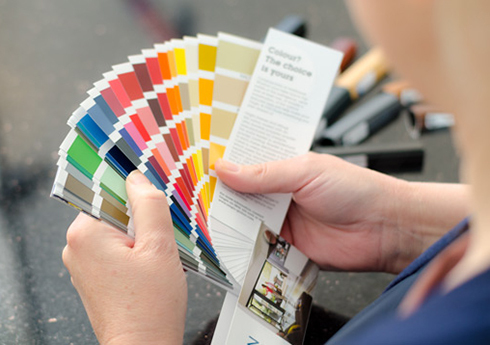 Our bi-fold frames and fittings are colour coated with an ultra durable polyester powder manufactured by Interpon, the world leader in architectural powder coatings. Immensely tough and resilient, powder coated aluminum will not corrode, discolour, rot or warp. They really do keep their good looks for a lifetime. The timeless appeal of our wood-effect finishes is the perfect way to co-ordinate new additions with existing windows and doors. They look like wood. They feel like wood. And they have the warmth and textured subtle beauty of real wood. But because they’re crafted from aluminium they’re maintenance free. We are a preferred local supplier of Origin Bifold doors.